No obstacle can stop one from achieving one's goals when it comes to answering the calls of the Almighty. And that is exactly when one decides to undertake pilgrimages to the various shrines which are spread across the country. Similar to the diverse landscapes of the country, the pilgrimages are also varied and to reach some of the places, is to test the patience and devotion of a devotee. While some of the shrines in India are perched at high altitudes, a number of them are quite difficult to access and remain closed most of the times due to extreme climatic conditions. For one to reach Kedarnath one must undertake a 14 km-long trek and if you wish to reach Kailash Mansarovar then it is another herculean task. Are you ready to cross lofty mountains, lakes and various other wonders of Mother Nature? Scroll below to find out some of the high-altitude shrines in India. The shrine of Kedarnath was built by Adi Shankaracharya sometime during the 8th century. The shrine is one of the most worshiped Hindu pilgrimage sites and is one amongst the Chota Char Dham circuits which is accessible only by foot. Kedarnath is located at a height of approximately around 3583 m and is dedicated to Lord Shiva. The shrine houses one of the 12 Jyotirlingas and is also one amongst the Panch Kedars. This holy site is located in the Garhwal Himalayan range on the banks of river Mandakini. One of the most famous and holiest cave shrines is the Amarnath Cave. The path leading to the cave is highly challenging which not only requires physical strength but also mental strength. The shrine remains closed for almost 9 months in a year and is open to devotees only for 3 months in a year. A large number of devotees come here to offer their prayers to the naturally formed Shiva Lingam. 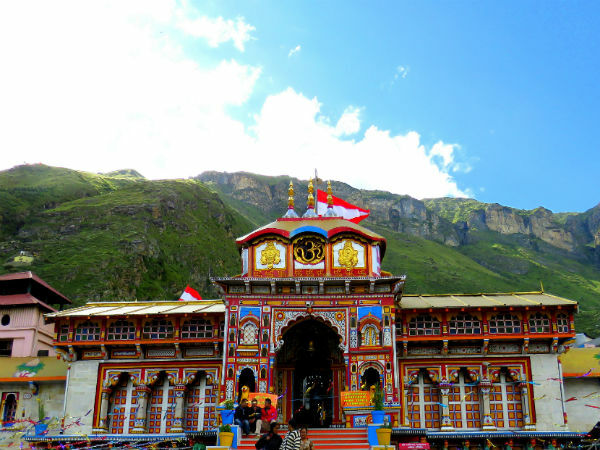 Dedicated to Lord Vishnu, the Badrinath shrine is located at an altitude of 3,133 m on the banks of river Alaknanda. The shrine is one amongst the Chota Char Dham yatras and is considered as one of the holiest shrines which is dedicated to Lord Vishnu. Vishnu here is worshiped as Badrinarayan. An interesting factor is that the head priest, who performs the poojas to the deity, is selected by a Namboothri brahmin family from Kerala. Considered as one of the most difficult religious sites in India, the Kailash Mansarovar is located in the present day Tibet which was occupied by China after the war of 1962. Mount Kailash and Mansarovar Lake are the prime attractions of the renowned pilgrimage. Mt Kailash is believed to be the holy abode of Lord Shiva and his family and is also the source of four major rivers of Brahmaputra, Sutlej, Ganga and Indus. The peak measures to a height of 6,638 m and the Mansarovar Lake is located at a distance of about 20 km from the peak and grabs the attention of its visitors with its magical blue and emerald-green waters. Situated at a height of about 1350 m, atop the Parasnath Hill in Jharkhand, is the abode of Shikhar Ji which is considered to be one of the holiest religious sites for the followers of Jainism. The place is considered holy as it is believed that 20 out of the 24 Tirthankaras have attained salvation here. The place is also known as Teerthraj and is considered as the most sacred temple amongst the Digambara sect of Jainism. Located at an altitude of about 4632 m in Chamoli is the Hemkund Sahib, which is the highest gurudwara of the Sikh community. The gurudwara is visited by a large number of Sikh followers from across the globe, the structure is a star-shaped, white marble building which is located on the banks of a clear lake at the base of the majestic Himalayas. Tungnath is the highest shrine dedicated to Lord Shiva, at a height of around 3680 m above sea level; it is also the highest amongst the Panch Kedar circuit and is said to be built about 1000 odd years ago. The temple is located on a ridge which divides the Mandakini and Alakananda from each other. Located at a distance of 42 km away from Jammu, Vaishno Devi is one of the revered Hindu shrines which stands tall at a height of around 1585 m. The shrine is dedicated to the Mother Goddess who is worshipped in the form of three natural rock formations. To reach the shrine one needs to trek up a distance of 25 km from Katra and it is believed that the goddess answers to all the prayers offered to her with utmost devotion.